Wood and Leaves 5m wide. 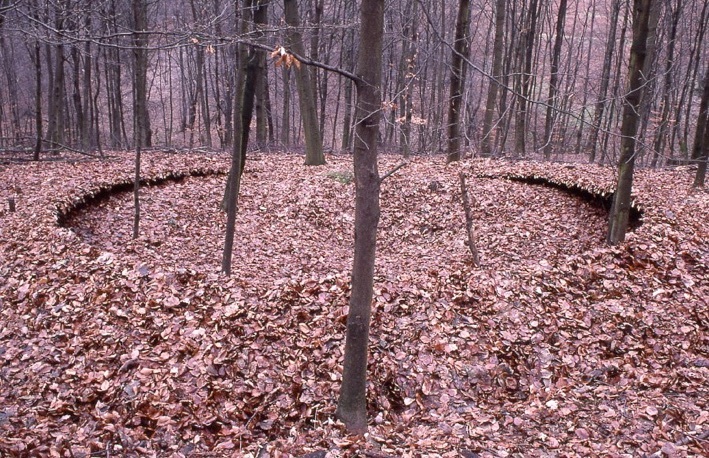 Wood collected from around the site, driven into the side of a bomb crater and covered in leaves – approximately 50 years after the bomb fell. Made during an exchange residency.